Timeless Art for Your Space. Complete your space with imagery that tells a story. 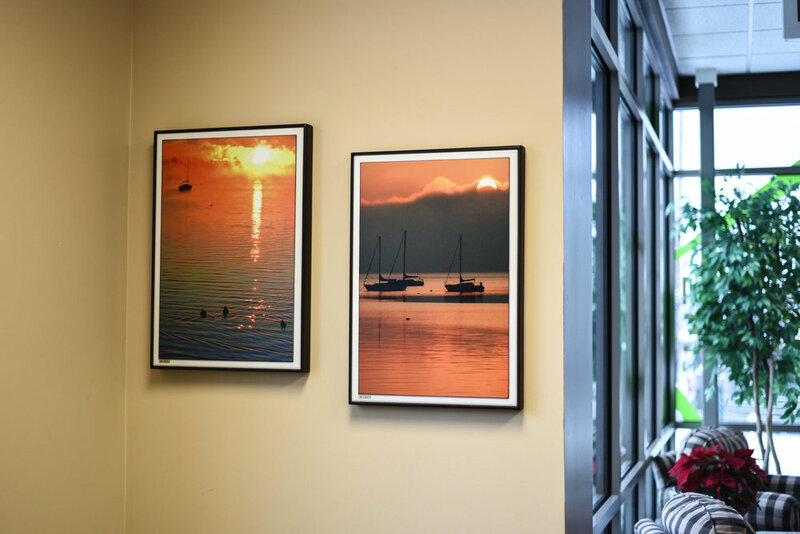 Furnishing your business with a cohesive gallery of images enhances ambiance and creates a positive brand experience. Using The Wooden Gallery Process™, we produce long-lasting, luxury galleries that will delight your customers. Our unique hand-finishing technique eliminates the need for glass while stopping glare and fading over time. 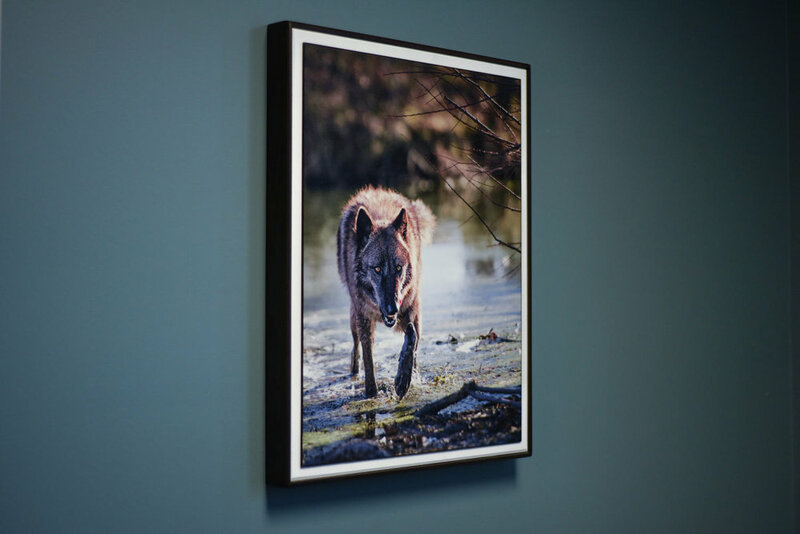 Our experienced team will guide you through the image selection and framing process, making your experience quick and enjoyable. Visit our downtown Traverse City gallery to see the difference in our quality. With The Wooden Gallery Process™, your investment lasts a lifetime. Get started by contacting us today! See more examples on our Commercial Portfolio page. Michael dedicated the past four decades his life to preserving the memories of others. During this time, he developed The Wooden Gallery Process™, a method in which images are perfectly preserved using a one-of-a-kind emulsion. Begin your custom commercial order. Submit the informational inquiry form. Visit the gallery to see our portfolio, or bring your own images to the gallery to discuss custom framing options for your space. We’ll listen to your needs and suggest images for your space. We’ll determine the best display within your budget; commercial discounts available for our corporate customers. Using The Wooden Gallery Process™, we will print and hand-finish your gallery. Commercial orders typically take 2-4 weeks for production. Quicker production times are available upon request. Thank you! We will be in touch soon to learn more about your commercial project.